As part of the World Music Series, Santa Barbara-based Ensamble Vientos Del Sur (Winds of the South Ensemble) will perform a fusion of different Latin American styles such as rumba, bolero, and cumbia on Wednesday, April 17, 2019 at 12 pm in the UCSB Music Bowl. Delighting audiences of Southern California for more than a decade, the band’s contagious rhythms invite the audience to dance. Hugo Macario, Jose Elizarraraz, and Robert Gutierrez perform on guitar, charango, zampoñas, quena, cajon, and congas. 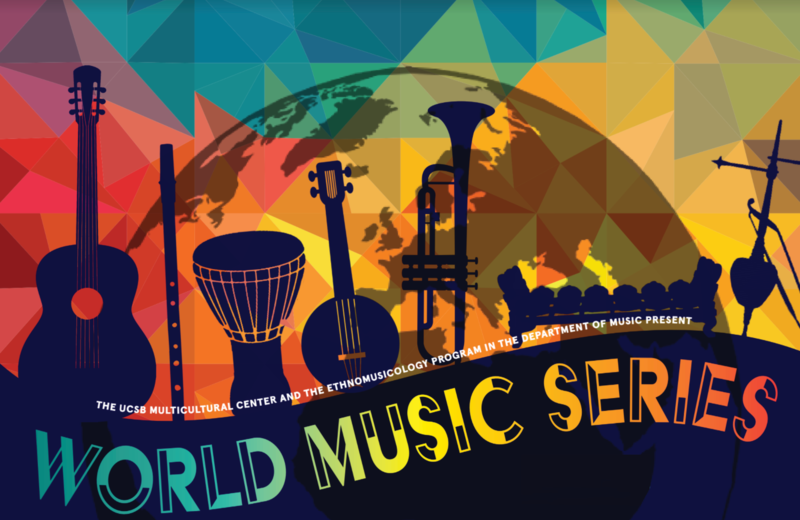 The World Music Series is co-presented by the UCSB MultiCultural Center and the Ethnomusicology Program in the Department of Music.